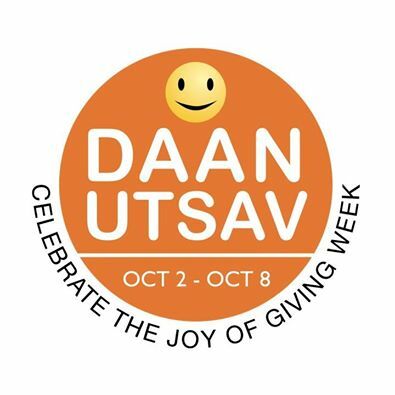 On 2 October, as Daan Utsav 2015 kicked off, a friend of mine texted from the Tata Memorial Hospital (TMH) in Parel, Mumbai. He had joined a group of more than 100 people who were celebrating the festival of giving; each had cooked and brought food for four-five people. “There’s not enough food, and it would be much easier if we served khichdi or something like that,” he said, “but great learning for my wife and I for the next time.” He also spent time talking to some of the people living on the pavement, to understand their stories better. Nearly 500 families sleep on the pavement outside the hospital on any given day—families from rural areas who have come to Mumbai because someone in the family has cancer and is being treated for free. However, given how chemotherapy cycles work, many of these families need to live in Mumbai for a few months. Most are broke, given that they lose income for the months they stay in the city. Till a week ago, my friend, a senior corporate executive, was probably not aware of this situation. Or even if he was, he knew of it as a statistic we routinely encounter: X% of children in class V read at class II levels, Y% of cancer victims can’t afford the costs of care, etc. These are facts that we are fully aware of, and eventually inured to. But having gone there, and seen first-hand the plight of these people, chances are that my friend will think differently now about the need for public healthcare. As his family and he make repeated visits to the TMH pavements, and as he starts thinking about engaging in other acts of philanthropy, his views on public health policy will hopefully be formed more from empathetic experience than statistical charts. And their understanding of what exactly equity means, in human terms, would be deepened when they look at the growth-equity trade-off. Over the last 15 years, I’ve seen hundreds, if not a few thousand people, begin to change their beliefs, values and behaviour once they “put a face to the data”. People who have visited and spent days with those displaced by “development” seem to rethink the kind of development we need. Seeing drought-affected areas changes attitudes to personal water consumption and spending a day at an orphanage or school for the mentally challenged gets people to change how they bring up their own children. Invariably, giving increases, engagement with one or more causes deepens, and this eventually affects how they look at various “policies” in their capacity as citizens. This engagement, when seen at an overall national level, will eventually create more favourable (or unfavourable) environments for government action in certain areas. And the impact of that will be huge. Even with the new 2% corporate social responsibility (CSR) rule, a push for greater giving by our high- income individuals, and even if we succeeded in increasing “giving levels” from the current 0.4% of GDP to 2%, the total philanthropy spending would still be less than a tenth of what the Union government spends on welfare. If we, the citizens, get more involved in how that money is spent by shaping policy, that alone will have far greater impact than any individual monetary contribution we make. Peter Drucker, a management consultant, educator, and author, said that the purpose of philanthropy, more than the change created directly by the resources given, lies in making each one of us “a citizen who takes responsibility, a neighbour who cares”. As India embarks on a renewed journey to give more, we need more and more people to put the heart back into philanthropy—not just write cheques, but visit, volunteer, engage and get involved with different social issues because that is what will transform each of us and, in turn, transform the nation. Venkat Krishnan is co-founder and director of Educational Initiatives Pvt. Ltd. He is also founder of GiveIndia, and one of the volunteers who evangelize DaanUtsav. Posted in Uncategorized and tagged Daan Utsav.